Yes Bank, Reliance Industries, Tata Consultancy Services, HDFC and SBI led the gains on Sensex. The advances on Dalal Street were led by buying in realty, IT and PSU banking stocks. Domestic stock markets finished Thursday's volatile session on a positive note helped by gains in Yes Bank Ltd after the lender said that it has received approval of the Reserve Bank of India (RBI) for Ravneet Singh Gill to join as bank's CEO on or before March 1, 2019. The Sensex ended 86.63 points higher at 36,195.10 while the NSE Nifty closed at 10,849.80, up 18.30 points from the previous close. The advances on Dalal Street were led by buying in realty, PSU banking and IT stocks. Top advancers on the 50-scrip index were Yes Bank, Reliance Industries, Tata Consultancy Services, JSW Steel and Tech Mahindra, settling between 1.01 and 14.32 per cent higher. Yes Bank, Reliance Industries, Tata Consultancy Services, HDFC and SBI led the gains on Sensex, settling between 0.43 per cent and 8.39 per cent higher. The S&P BSE Sensex surged as much as 143.84 points during the session to touch 36,252.31 at the day's highest point, while the Nifty50 advanced by 26.9 points to register an intraday high of 10,858.40. Yes Bank shares closed 14.3 per cent higher at Rs 225.50 apiece on the NSE after the lender named Ravneet Singh Gill as its new managing director and CEO. In a regulatory filing, the private sector bank said it has received approval of the RBI for Mr Gill to join on or before March 1, 2019. According to Joseph Thomas, Head Research, Emkay Wealth Management, the market was in a tight range, with no fresh news or triggers, throughout the trading day. "The focus was more on the earnings announcements, which also did not give any surprises as yet," he said. 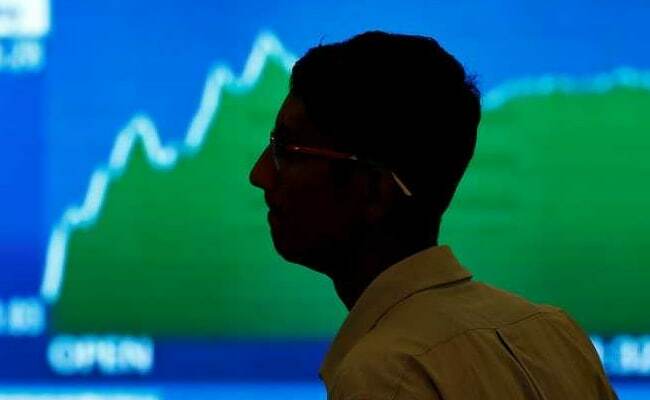 The pressure of macroeconomic factors may bring further correction in the markets in near future, according to said Ritesh Ashar, chief strategy officer, KIFS Trade Capital. Domestic institutional investors (DIIs), meanwhile, made purchases worth Rs 583.77 crore, while foreign institutional investors (FIIs) sold shares worth a net of Rs 775.82 crore on Wednesday, as per provisional data.